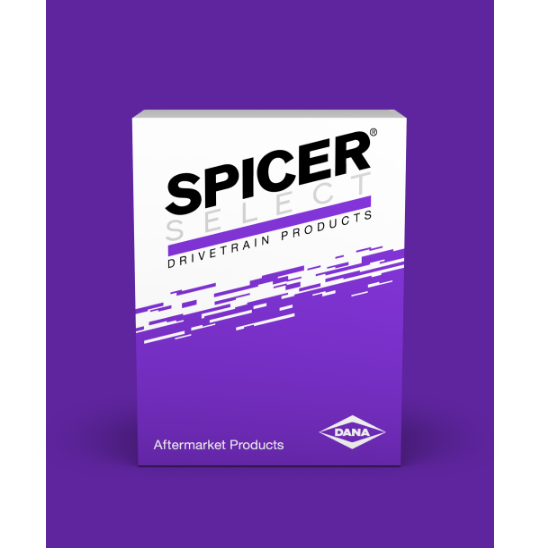 Spicer Select drivetrain products are the perfect aftermarket choice for aging vehicles that still have a job to do. They are built using Dana data, testing, and expertise for exceptional performance that you, and your customer, can trust. And because Spicer Select products are designed to fit all makes, and interchange easily, it’s easier to choose the parts you want to stock. Because shelf space is valuable. And so is your customer’s need for quality aftermarket parts. For the lifespan of your fleet, trust Spicer Select. Introducing NEW Service-Free U-Joints & Complete Axle Bearing kits. Spicer Select U-Joints, Strap Kits, Center Bearings, and Axle Bearing Kits. 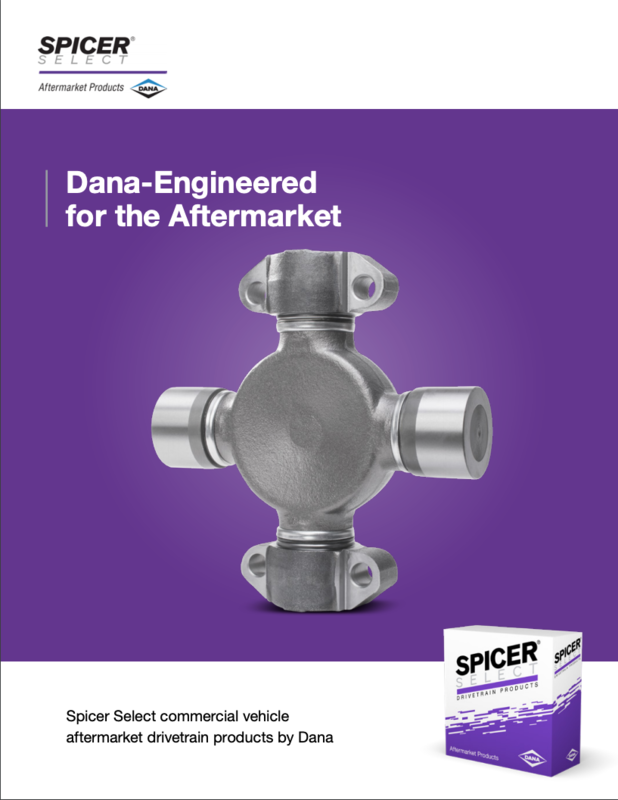 Dana-engineered to provide dependable performance. 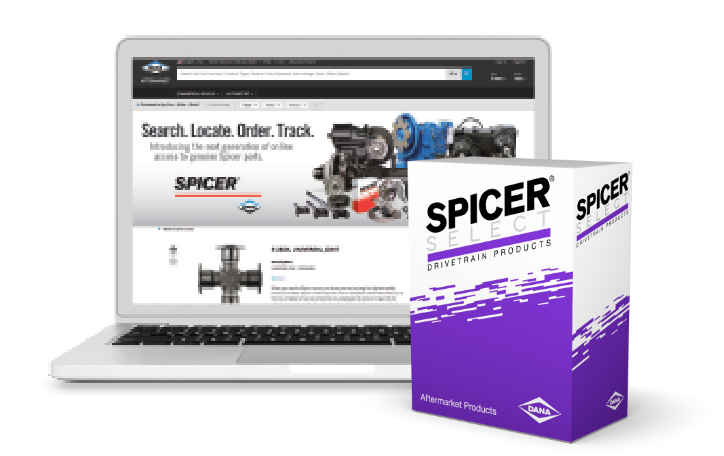 Use the charts below to find the current manufacturer’s part number and corresponding Spicer Select products. Contact your Dana sales representative for more product availability information. Spicer Select parts are more than an excellent aftermarket parts choice. They are also easy to order and track. Simply search the part you need by product type, keywords, or year/make/model. It’s one more way we continue to make it easy to do business with Dana and help you be successful. 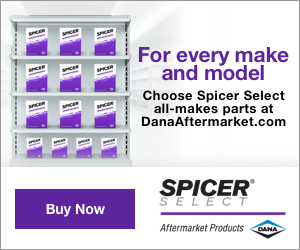 When it comes to repairing or maintaining your vehicles, you can rest assured knowing all Spicer Select commercial vehicle aftermarket drivetrain products by Dana are engineered to meet the unique needs of the aftermarket and are backed by an 18-month or 100,000-mile warranty. We have gone the extra mile to ensure high quality and product performance. And our service is unmatched anywhere.